Trends in retail design are exerting a significant influence on the relationship between lighting designers and their clients. 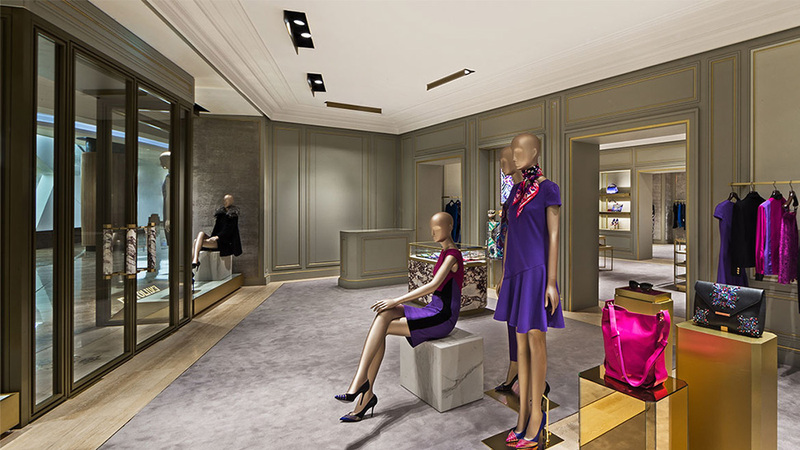 In particular, retail lighting systems now need to address two key areas. Clearly, the lighting must enhance the shoppers’ perception of the store whilst helping to draw attention to particular displays of merchandise – as, indeed, good retail lighting has always done. In addition, this must be achieved with optimum energy efficiency to support the retailer’s profitability and environmental policy. As a result, LEDs are rapidly becoming the light source of choice for retail because of their ability to deliver against both of these vital criteria. In addition, they offer the controllability and opportunity for colour-changing that are becoming more popular in the retail environment. Lighting in retail installations must account for the various functional areas of the modern store, which include showcases, shelving, changing rooms, passages and relaxation areas, entrance ways, payment counters, toilets and the limits imposed by the store’s architecture or previous installations. Flexibility in configuring and reconfiguring lighting is a critical concern in retail installations. Our enormous experience, wide range of solution and innovations like the IOS interchangeable optics system enable us to provide solutions for all aesthetic and functional requirements of the modern store, with the power to quickly and easily modify the display layout. For all of these reasons, lighting manufacturers are now playing an increasingly important role in partnering with retailers to help meet their lighting requirements while ensuring compliance with legislation and certification to schemes such as BREEAM or LEED.